Tokai Forum - a subsidiary of TokaiRegistry.com :: View topic - New Strat preference. Posted: Thu Oct 09, 2014 5:27 pm Post subject: New Strat preference. But If money was no object and you were buying a new strat, what would you buy, and why? Everything matters, craftsmanship, materials, finish options (nitro), hardware. The least important to me is electronics because that is usually the easiest thing to swap. Everything matters, craftsmanship, materials, finish options (nitro), hardware. To meet all your requirements, and because neck shape is the most important factor (to me). I would go for this. Those Ruokangas are indeed nice, I'm curios to see what other people chime in with. I've read a lot about Suhr strats and LSL, among a bunch of others, but it's hard getting information on a lot of this. Marcus just got a VanZandt. He'll post something at some point. There is a thread in the "Other" section about it. I have an LSL Saticoy stratocaster which is by far the best stratocaster I have ever played but they do come with a serious price tag. I have a Suhr standard so cant comment on Suhr stratocasters but the build quality is superb on all Suhr guitars. 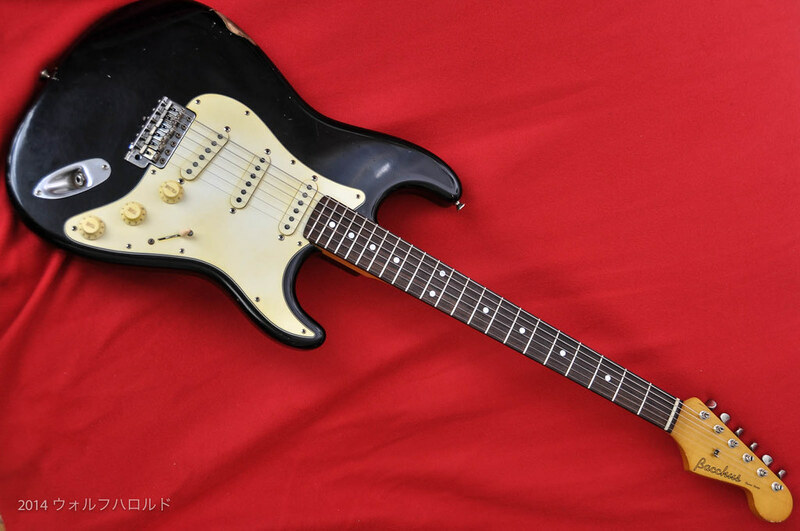 The second hand value of a Suhr will be far higher than the LSL should you ever part with it in the future. You cant go wrong with either. These guys seems to be enjoying LSL Stratocasters. Yeah, the older Van Zandt strat I just got (STV-R1) hasn't left my hands since it arrived a couple of weeks ago. One of the best made, playing and sounding strats I've ever played. I would have considered a Bill Nash guitar but since he's really starting to mass produce them to sell through dealers, I've heard that the quality is slipping a bit. I had not heard of Nash until today, those are fairly reasonably priced. VanZandt, Navigator and Bacchus would be my choices for strats. Momoses are equally good but the Bacchus is so close in quality that for the cost I don't think it is necessary to go up to a Momose. Navigator and VanZandt have nitro finishes with the VanZandts having very thin finish. I think that works to their advantage for tone. http://www.ikebe-gakki.com/ec/cmHeaderSearchProduct/doSearchProduct/cmHeader/%20/%20/1?wd=vanzandt&registKeyword=true Ikebe is another good one that sells internationally.